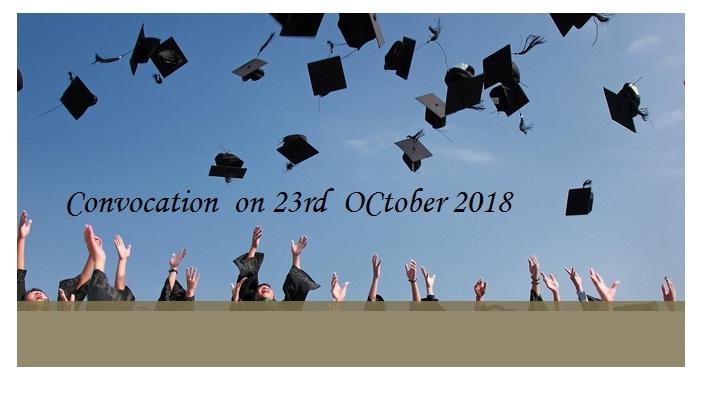 The 15th Convocation Ceremony of Symbiosis International (Deemed University) will be held on Tuesday, October 23, 2018 at Symbiosis International (Deemed University), Lavale, Pune at 11:00am. His Excellency Shri. Ram Nath Kovind, President of India is the Chief Guest for the Convocation. The online registration for 15th Convocation commences from October 1st, 2018. The last date for online registration is October 19, 2018. The 15th Convocation Ceremony of Symbiosis International (Deemed University) on October 23, 2018 0 out of 5 based on 0 ratings. 0 user reviews.